YMCA East Surrey is now delivering Play and Leisure Short Breaks for children and young people with special educational needs and disabilities in Reigate & Banstead, Mole Valley and Epsom and Ewell – as well as a play scheme for Tandridge – and are keen to let local families know that support is available. Disability can be extremely socially isolating, both for children and for their parents/carers, causing stress and anxiety, mental wellbeing issues and isolation. By offering opportunities for children to attend play and leisure term time and holiday clubs, YMCA East Surrey are aiming to reduce social isolation and promote the development of friendships and support networks for the future, both for the children and for their parents/carers. The play and leisure short break services are available to children and young people with a wide range of disabilities including learning disability (and those with associated challenging behaviour), physical disability, significant sensory impairments, autism, and those with complex health and medical conditions that impact on their daily lives. Over 70% of the children registered to attend the YMCA’s short break services have a diagnosis of autism, which has an associated difficulty of elevated levels of anxiety, especially surrounding unfamiliar environments and new opportunities. However, this is something that children do need to learn how to manage as they develop, and with the specialist support from trained and experienced staff, these anxieties can be greatly reduced. 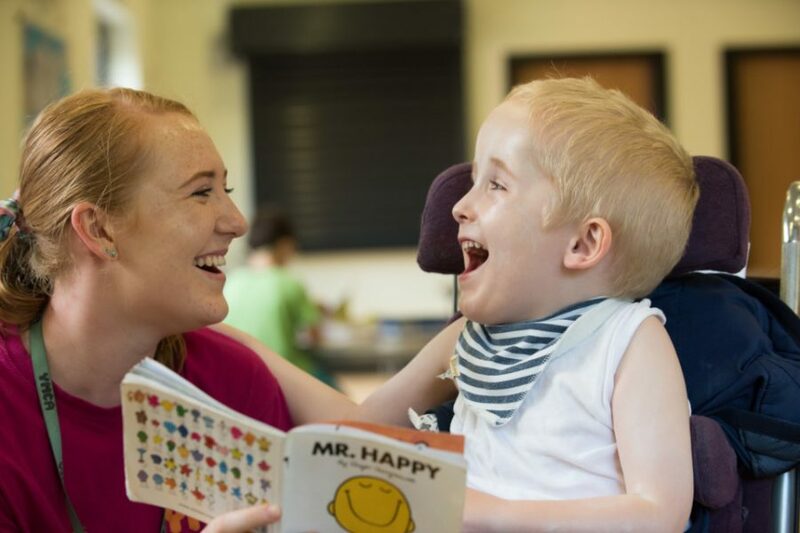 YMCA East Surrey believes that short breaks encourage and enable children and young people with disabilities to try new activities and make friends, which helps to build their social skills, confidence and independence. The families involved will benefit from having a break from caring responsibilities; time to spend with siblings and partners, for leisure activities or to work, which will all lower stress levels and improve family relationships.